Crystal Garner is not a reporter, web producer or computer scientist. Unlike most students at The News York Times Student Journalism Institute, she is aiming for a job that does not even exist yet. 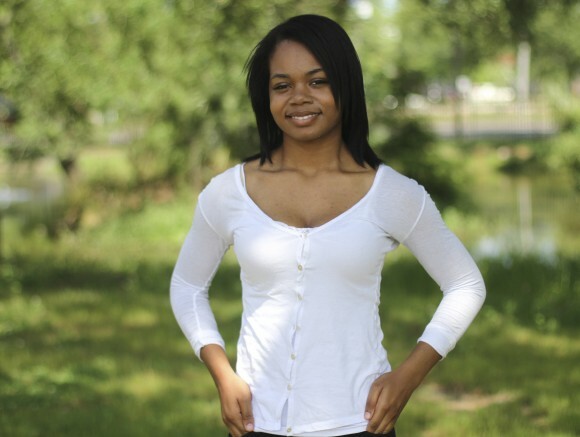 Ms. Garner, 20, a rising senior at the University of Southern Mississippi, is searching for a career at the convergence of radio, print and web. She has worked with scientists at NASA and on her university’s student newspaper, where she covered minority issues on campus. At NASA, Ms. Garner helped to produce a program that featured scientists discussing objects in space, such as the sun and the moon, using digitally enhanced images. She managed control room operations, making sure the live shots were transmitted fluidly to affiliated TV stations across the country. In her classes, she leapt into the world of web coding, with a double major in broadcast journalism and computer science. Using skills learned from journalism, she hopes to bring an element of creativity to computer science, a field dominated by mathematicians and technology experts. Ms. Garner is also an intern on the National Association of Black Journalists’ Digital Journalism Task Force. This summer, she will be an intern with NPR Weekend Edition in Washington, where she hopes to help adapt audio stories for the web. During the school year, Ms. Gardner hosts a news talk show on WUSM, the radio station at the University of Southern Mississippi, where she has interviewed everyone from beauty pageant queens to local political figures. “I’ve been woven into the world of radio,” Ms. Garner said. “I want to see how the stories work and how to better integrate that online” with other interactive elements. Her love for journalism began in fourth grade, when she wondered about becoming a reporter as a way to overcome her shyness.